Although the internet has allowed agencies to do away with a lot of paper, there are still, and will always be, times a hard copy must be sent to a client. For those times, let Lancer Ltd. work to provide you with the correct stationery products. 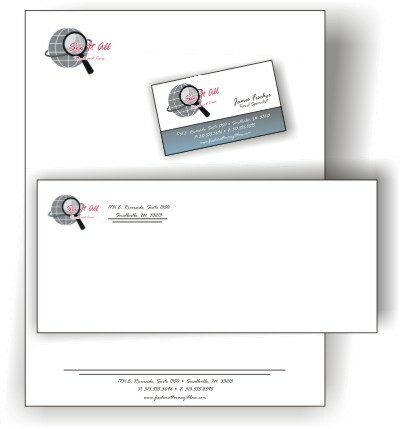 Tie your image together with letterhead, matching envelopes, business cards and presentation folders. Branding your image is important whenever it's in print, seen on the internet, or your advertising specialty gifts. Fill out this short form, and a representative will contact you as soon as possible! We look forward to working with you on this new project!